Florida Democrats are praising President Donald Trump’s strong stance against Venezuelan President Nicolas Maduro while growing increasingly uneasy about Trump’s growing appeal with their base, Politico reports. Trump recognized Venezuelan opposition party leader Juan Guaidó as the country’s rightful president after Maduro declared victory in an election seen as illegitimate by many foreign leaders. The Trump administration is taking steps to weaken the Maduro regime, including slapping sanctions on Venezuelan oil Monday, a blow to the government’s main source of revenue. 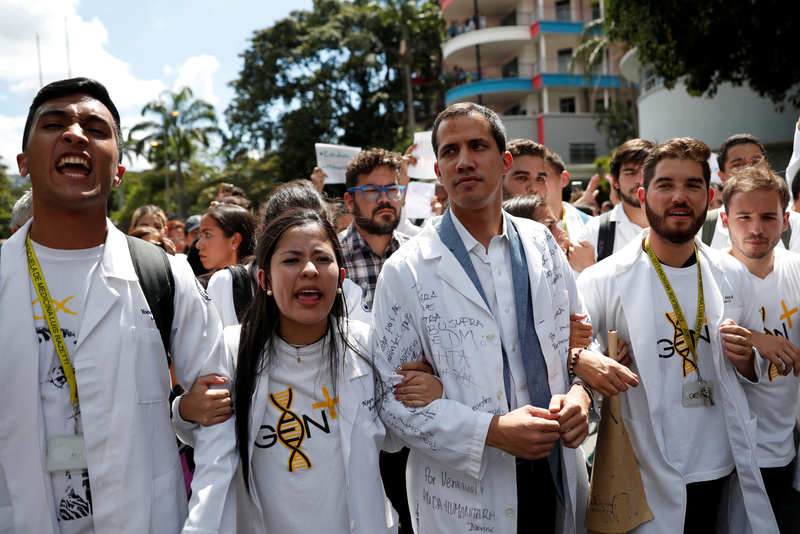 U.S. support for Guaidó is playing well with Florida’s significant Hispanic population, many of which are from or have connections in Latin American countries. Taddeo immigrated from Colombia and represents a 70 percent Hispanic district. Florida is crucial for Trump’s re-election campaign in 2020, Republican strategists say according to Politico. The state went Trump’s way in 2016 by a slim margin of 1.2 percent. Taking tough action against South American dictators like Maduro may shave off enough Hispanic voters from the Democratic Party to provide the support Trump needs to win the state next year. Progressive politicians such as Rep. Tulsi Gabbard of Hawaii are publicly bashing the Trump administration’s strategy, placing Democrats in a tougher position to try to angle for Florida’s Hispanic vote.